Regina King is all smiles as she arrives at the 2019 Dreamer Dinner Benefit on Sunday night (March 31) at the Skirball Cultural Center in Los Angeles. The 48-year-old Oscar winning actress sported a chic black suit as she stepped out for the dinner hosted by the I Have a Dream Foundation. The I Have a Dream Foundation works to ensure that all children have the opportunity to pursue higher education, fulfill their potential, and achieve their dreams. Other stars showing their support at the dinner included This Is Us actor Jon Huertas and Scrubs‘ Heather Graham. 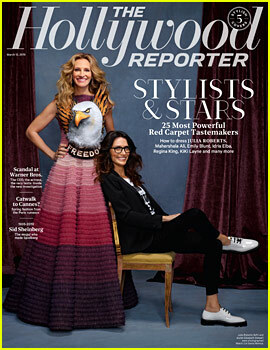 Julia Roberts and her stylist Elizabeth Stewart pose on the cover of one of THR‘s 2019 Stars of Style issues, which includes their Top 25 Most Influential Stylists of 2019 list! Also featured on separate covers are Idris Elba with stylist Cheryl Konteh, Mahershala Ali with Van Van Alonso, Emily Blunt with stylist Jessica Paster, and Regina King and Kiki Layne with stylists Wayman Bannerman and Micah McDonald. 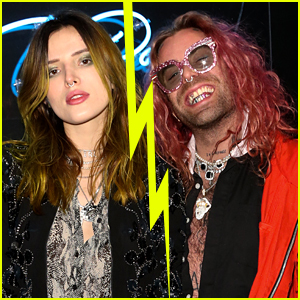 Be sure to check out the entire feature over at HollywoodReporter.com. 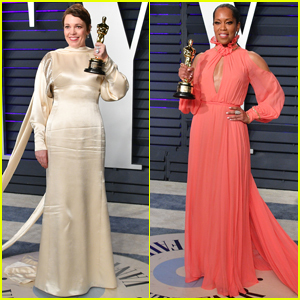 Olivia Colman triumphantly holds up her Oscar as she arrives at the 2019 Vanity Fair Oscar Party at the Wallis Annenberg Center for the Performing Arts on Sunday (February 24) in Beverly Hills, Calif. The 45-year-old actress looked pretty in a cream-colored, silk dress as she brought along the award she won for Best Actress for her role in The Favourite. Also in attendance at the party was Best Supporting Actress winner Regina King – who brought along her statue too while donning a pink dress for the party. FYI: Olivia is wearing a Stella McCartney dress. Regina is wearing Monique Lhuillier. The 48-year-old actress won the award for Best Supporting Actress for her work in the movie If Beale Street Could Talk. She tearfully started her speech by thanking James Baldwin, the author of the novel. The other nominees in the category were Vice‘s Amy Adams, Roma‘s Marina de Tavira, and The Favourite‘s Emma Stone and Rachel Weisz. 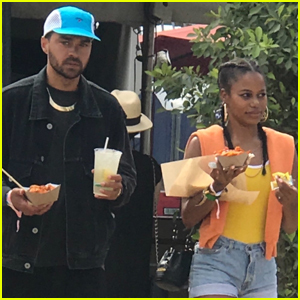 This marked the first nomination and the first win for Regina, who hadn’t appeared in a film since 2010 before working on If Beale Street Could Talk. The award was presented by former SNL funny ladies Tina Fey, Amy Poehler, and Maya Rudolph, who opened the show even though they were not the hosts. 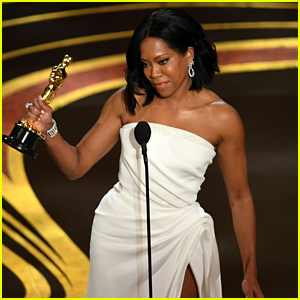 Regina King Shows Some Leg in Amazing Oscars 2019 Red Carpet Look! Regina King has arrived – and she’s looking amazing! The nominee this evening showed off some leg at the 2019 Academy Awards on Sunday (February 24) at the Dolby Theatre in Los Angeles. Regina is up for the Best Supporting Actress award for her work in If Beale Street Could Talk. Best of luck to all the nominees! FYI: Regina is wearing Oscar de la Renta and Chopard jewels. Regina King Wins Best Supporting Female at Spirit Awards 2019! Regina King proudly shows off her award at the 2019 Film Independent Spirit Awards on Saturday afternoon (February 23) in Santa Monica, Calif. The 48-year-old actress won the award for Best Supporting Female for her work in the movie If Beale Street Could Talk. “I have not done a film in almost 10 years and to be here receiving this for such a beautiful piece of art…” Regina said during her speech. Regina‘s last film before this one was 2010′s Our Family Wedding. FYI: Regina is wearing a Valentino dress, Brian Atwood shoes, and Irene Neuwirth jewelry.